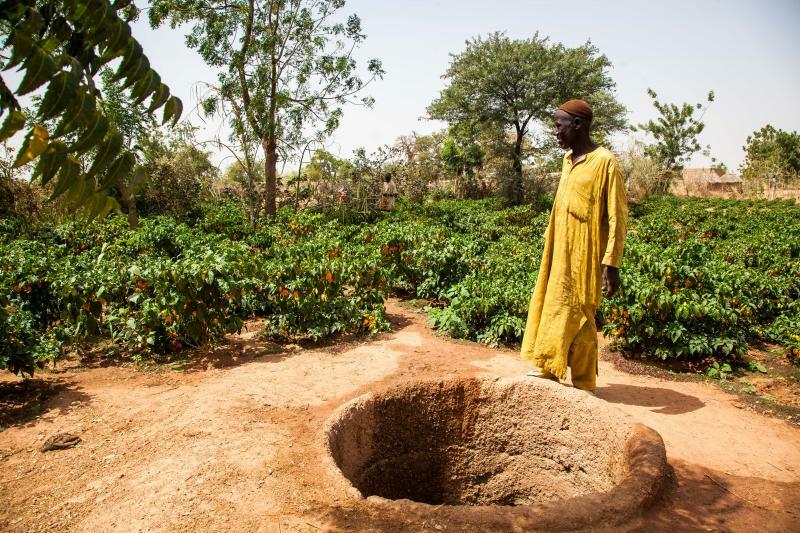 In landlocked Burkina Faso, a sub-Saharan country in West Africa, reliable access to water is crucial – particularly for farmers. Over 90% of the country’s population relies on agricultural activities for income and to feed their families. These farmers are vulnerable to climate change, which has caused irregular rain patterns both in the form of droughts and heavy rainfalls. 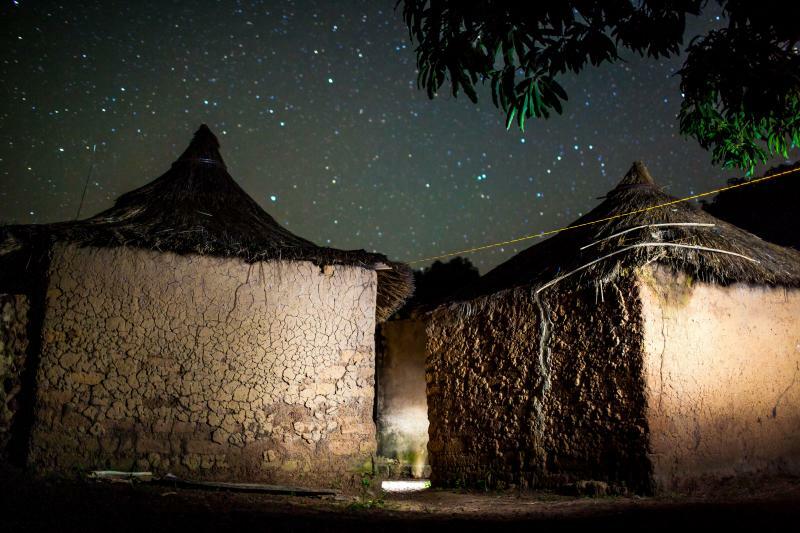 This long exposure image was taken in Moussoudougou, Burkina Faso, using a flashlight to highlight the texture of the walls in this rural village. 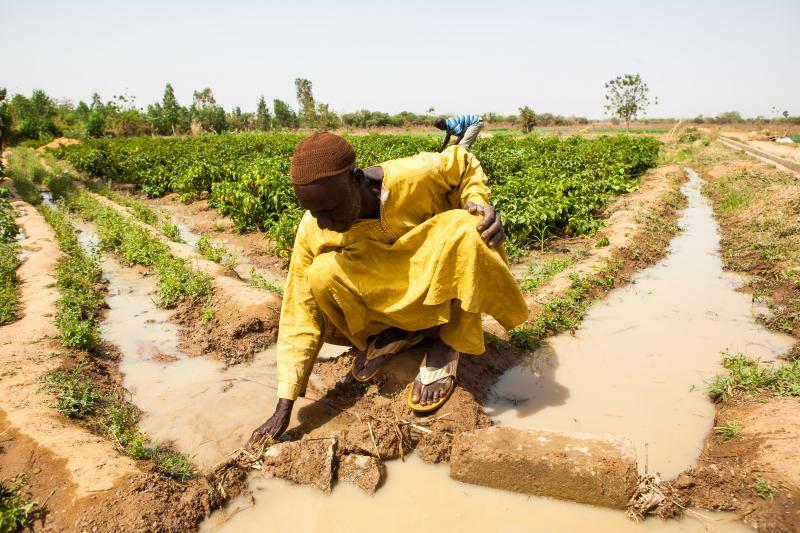 One adaptation strategy used by farmers is the half-moon method, which captures rainwater and keeps topsoil from washing away in heavy downpours. 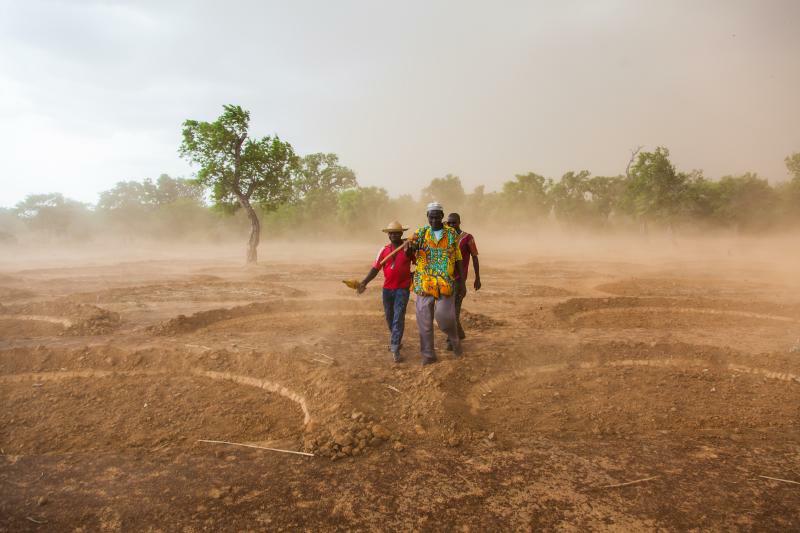 Here, Etienne Tiendrébeogowe prepares his fields for a heavy rainfall in Yé, Burkina Faso. Towards the end of the dry season, farmers with access to deep wells are able to start growing vegetables before the rainy season begins. 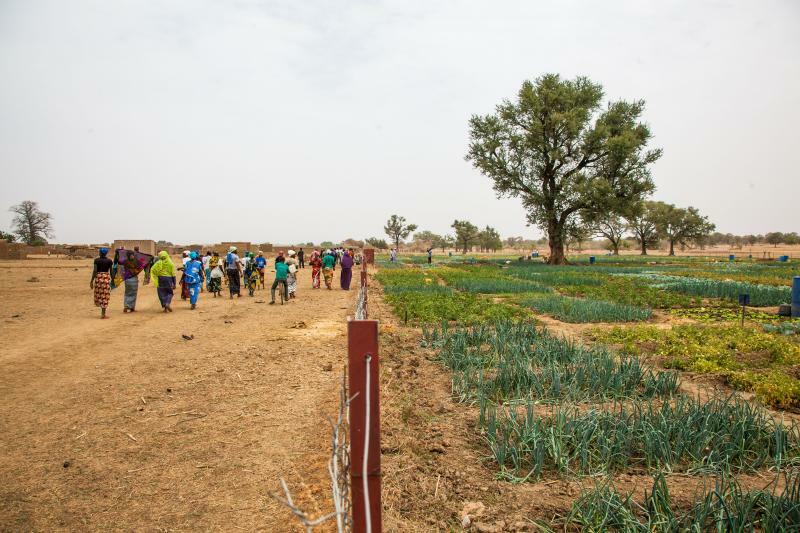 Vegetable gardens in Koti, Burkina Faso highlight the stark difference between watered and non-watered land. 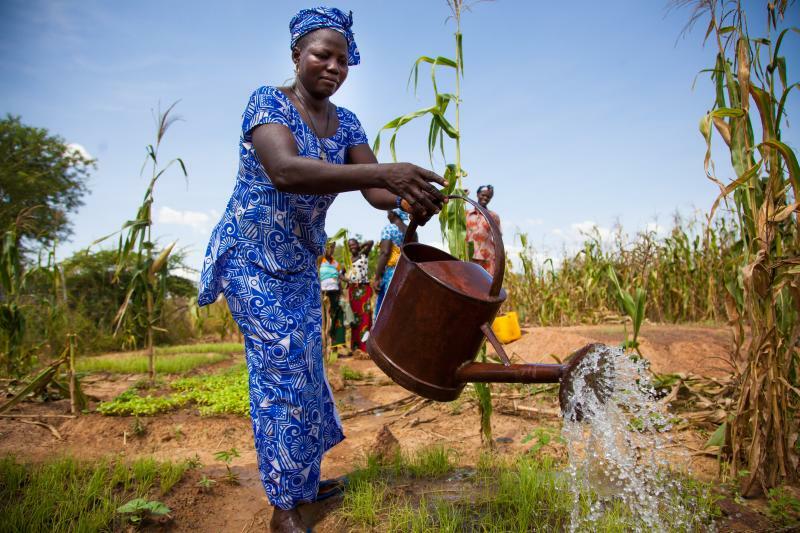 Farmers draw well water by hand in Koti, Burkina Faso. With a changing climate, the first rain may come later in the year, increasing the risk of a well running dry before the rainy season begins. 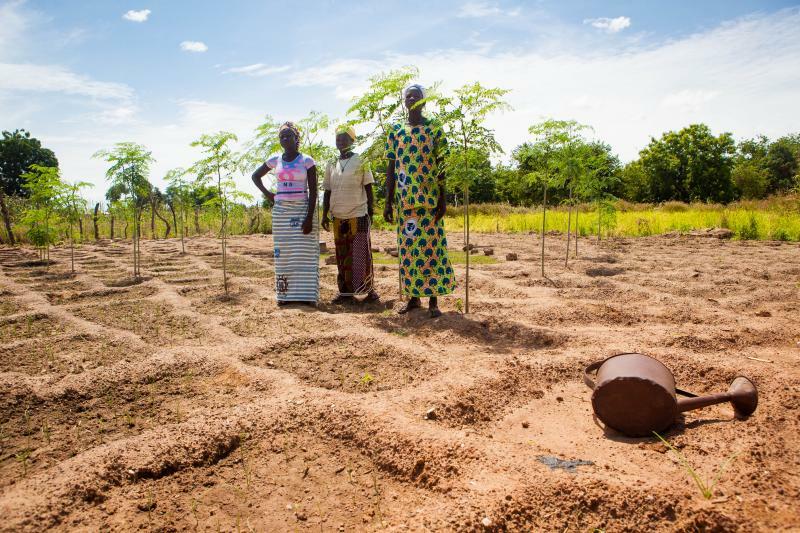 Women farmers, such as Ebou Dango in Didyr, Burkina Faso, are particularly vulnerable in the face of climate change, and they also play a crucial role in implementing adaptation strategies. Oxfam International recommends prioritizing women in climate change adaptation initiatives, including water/soil conservation techniques and crop diversification. Both water/soil conservation techniques and crop diversification are seen here with vegetable bed divots and moringa intercropping in Didyr, Burkina Faso. Dams also provide a source of water for farmers, and can be flooded into fields through irrigation channels as seen in Pella, Burkina Faso. A farmer walks through his patch of spicy peppers in Pella, Burkina Faso, which were hand-watered using water pulled from the well. A bountiful harvest! 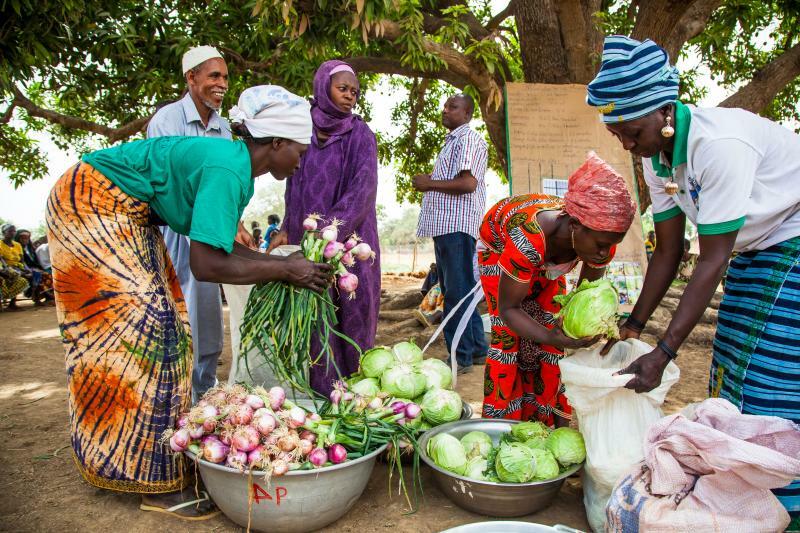 Wells and dams are important sources of water in Burkina Faso, particularly for vegetable farmers who want to get an early start before the rainy season in order to sell their crops at a higher price at the beginning of the market season. 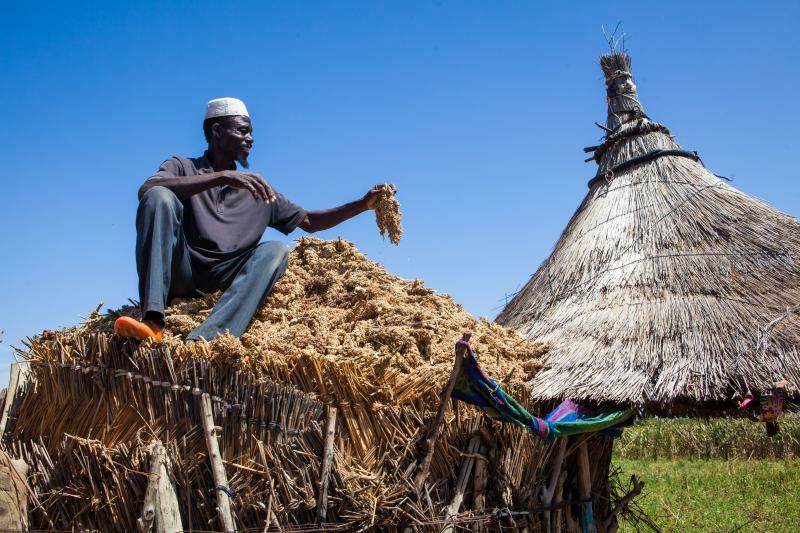 Adama Kaboré proudly displays his family’s sorghum harvest in Kolghinguesse, Burkina Faso. 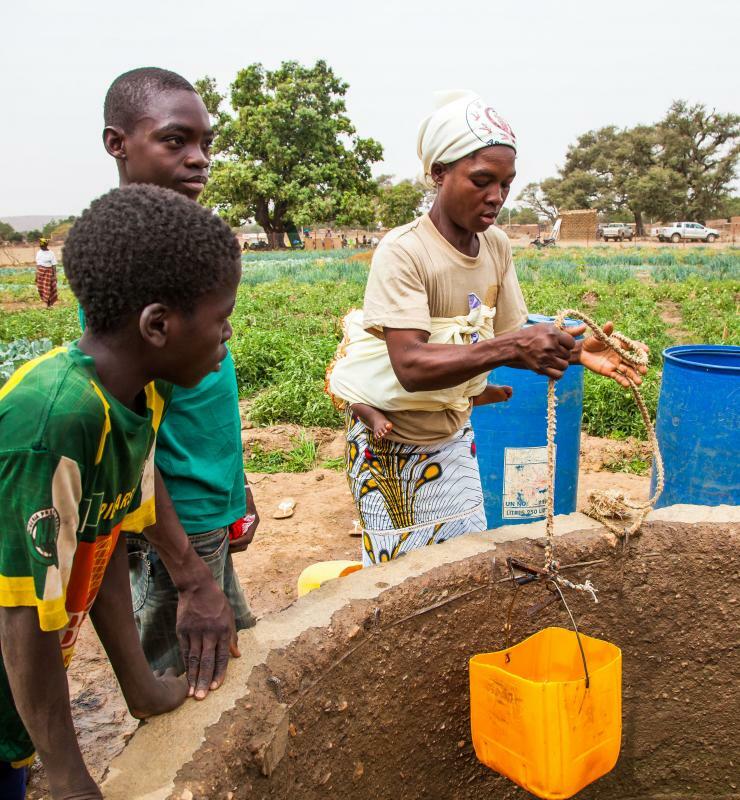 In landlocked Burkina Faso, a sub-Saharan country in West Africa, reliable access to water is crucial – particularly for farmers. Over 90% of the country’s population relies on agricultural activities for income and to feed their families. These farmers are vulnerable to climate change, which has caused irregular rain patterns both in the form of droughts and heavy rainfalls. Over the course of his travels and work in the region, James Souder documents the growing impact of climate change on the agricultural traditions of farming communities – and the innovative adaptation strategies they have implemented to adjust to our new climate paradigm. James Souder is a Masters of Environmental Management student at Yale School of Forestry and Environmental Studies, graduating in May 2018. He worked as a photojournalist in Burkina Faso the year before coming to Yale, where he now studies Industrial Ecology and Green Design with a focus on waste to resource innovation.